It is a holiday weekend and I am off spending some time with my family. Click here to check out my devotion entitled, “Black Friday,” as it is certainly fitting for today. I pray you have a safe and happy holiday weekend. A new devotion will be posted on Wednesday, so be on the look out for it. When I was around seventeen or eighteen years old, all I could think of was moving out of the house and living on my own. I wasn’t too naive, and I did realize that to do so I would need to work and have a job; however, I didn’t recognize the full measure of what such freedom would cost me. After all, who really does at that age? Yet, when I moved out of the house, I began to realize that the little bit of independence I gained from my parents took away much of the freedom, especially of personal time, that I previously enjoyed. When one thinks about it, we often confuse the ideas of independence and freedom as if they are one and the same thing. But are they truly the same thing? Does in independence mean freedom? Does dependence automatically mean a lack thereof? 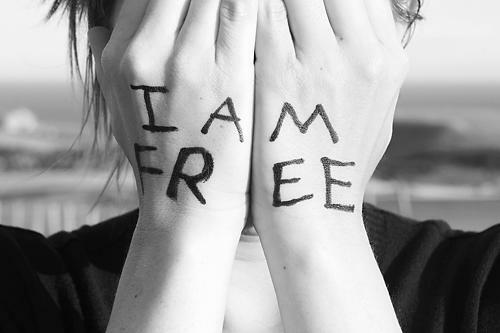 It seems, at least from my experience, that one is not necessarily free just because she or he is independent. Often times, just like when I was a teenager, we push ourselves from the ones who love and protect us in order to experience independence. During that push we also equally expect to gain more freedom, which we assume will make our lives better. Yet, the truth is that freedom never comes without a cost and independence is sometimes highly overrated. The people in the Garden of Eden sought their independence from God. When the man and the woman heard that they could attain the knowledge of good and evil, when they learned that they could make decisions for themselves, when they learned that they could claim their own destiny and gain independence, they seized the fruit and the day. Perhaps such seizure can be considered the first sin, or perhaps it was the final, completing act of creation. Either way one looks at it, people chose to be free to choose right from wrong, good from evil; people chose to be independent from their creator and took the step that each of us takes toward growing up and being responsible for ourselves. Of course, no human being, from the first people to us, seems to have fully mastered this free will; however, our desire to be independent still goes on. Yet, I believe that the desire of independence can also lead us down a dark and dangerous road. Many people choose to resist being dependent on others (including God) for help and, as a result, find themselves dependent in otherways to compensate for their pride. Many addictions, drug and otherwise, are rooted in the desire to be independent; yet, how independent is an addict, how independent is a person who strokes out because they refused to call 911? No matter how hard we try, we cannot avoid the fact that we are quite dependent. God wants us to come to the realization that we are still dependent. God wants us to return to a right relationship with each other…one that recognizes our interdependence on those who are our neighbors. God wants us to love and care for our neighbor, just as much as God wants us to recognize our need to be cared for as well. And it is such a recognition, such a right relationship with God’s creation, that causes us to be in right relationship with God. Rather than fighting for complete and utter independence, let us utilize the freedom that God has given each of us, by God’s grace, to find peace in our dependence of each other and of God. Be dependent in those God has placed in your life, be dependent in God’s grace, and be sustained by the freedom that such dependence brings! Lord, while I enjoy the amount of independence that is healthy for me, help me to also accept that I am very much dependent on you and on those whom you have placed around me. None of us are alone and, for that graceful gift, I thank you. Amen. “Thank you for making me so wonderfully complex! Your workmanship is marvelous—how well I know it.” (Psalm 139:14). Have you ever seen the show Extreme Makeover? It was a show on TV that centered around taking people who were considered to be in need of a “new look”, bringing them to Hollywood, and giving them a makeover. These makeovers weren’t just a day out to posh clothing stores and applying top of the line makeup; rather, these makeovers included plastic surgery such as face-lifts, breast augmentation, liposuction, and other appearance-altering surgeries. In the American culture, more focus is given to how we look than to any other thing. Everywhere we go we are inundated with images that tell us we are not as perfect as someone else thinks we should be. I hear my own daughters saying, “I wish I looked like that,” every time they stare at these unrealistic images of women who, outside of Photoshop, don’t really exist. We are all in a race to look the best that we possibly can so that people don’t judge us. God forbid if we look unkempt or frumpy when we go out to the supermarket. God forbid if someone sees us in our PJs or if we aren’t wearing enough make up to mask our “imperfections.” The fact is, many of us spend a great deal of time trying focusing on how we look and for good reason. We all have learned that we get judged by our appearance. I am sure that you are nodding your head in agreement as I write this. Our culture focuses too much on appearance. What is sadder than what I have already written about above, is the fact that the church is no different than the rest of the world and, in some cases, it can be far worse in its judgment. If people don’t look the right way, if they don’t smell the right way, if they don’t say the right things, if they don’t believe things the way we do, and if they don’t fit in with our way of doing things then they are clearly NOT ONE OF US! That is the mentality that fills the hearts and minds of many people in the church and it is a sad one considering that Jesus, himself, wouldn’t have fell in line with any of our categories. We are so busy judging others that we often forget the true reason we are the church to begin with: namely, that we were loved by God and given undeserved grace despite our not doing things the “right” way. Who has more of a right to build up walls of distinction more than God? Can anyone of us claim that right? The question for us is this, if God chose not to judge us, what makes us think we have the right to judge others? If God chose to accept us how we are, what gives us the right to demand that others undergo an extreme makeover? If God is cool with difference and diversity, why are we so fearful of it? The challenge for us is to embrace the uniqueness of others and celebrate them for being who GOD MADE THEM TO BE. Remember that God made you who you are. Just the same, God made others who they are and we are called to celebrate in that fact. Let us makeover our hearts and warmly welcome people, as they are, in God’s love and God’s grace. Lord, makeover my heart and help me to be an extension of your love and grace so that others may know, through me, that you love them. Amen! For anyone who doesn’t already know this, I am a huge movie fan. What’s more, I am an avid collector of Biblically inspired films. The most recent film added to my collection, The Bible miniseries, is perhaps the most epic Biblical film to-date. The series in its whole, runs ten hours long. Unfortunately, while ten hours seems like it would make a long film, it is not enough to accurately represent the entirety of the Holy Bible. With that said, the series was a huge commercial success. In fact, it seems that anytime something related to the Bible is produced, people by the millions stop what they are doing to watch it. The first installment of the series drew in 13.1 million viewers, beating out American Idol and other shows. Those are ratings that nobody can scoff at. Yet, when looking at how many people read the Bible on a weekly basis, polls have shown that only about 37-40% of Americans read the Bible at least once a week (and I think that poll is probably more than generous). If we move beyond that to attending worship, or other spiritual disciplines, we will see even lower numbers. John Wesley, in the third component of his General Rules, stated that it is vital for Christians to attend “upon all the ordinances of God.” An ordinance is a requirement set forth by an authority; therefore, an ordinance of God would be a requirement set forth by God. Wesley believed that regular prayer, regularly studying scripture, partaking in the Lord’s Supper, fasting, and being a part of a Christian community in fellowship with other Christians, all helped to not only bolster the Christian’s faith, but helped them to grow in it as well. In fact, without those things, we often find ourselves dry, empty and lost. The fact is that, just like any other relationship we have, our relationship with God takes effort and discipline. We cannot grow in our relationships with people if we never see, spend time with, or talk with them. How can we, as Christians, expect to grow in our relationship with God if we don’t attend to all the ordinances of God. Here is a challenge for us all: attend to all the ordinances of God. Search the scriptures regularly, pray regularly, partake in communion regularly, regularly fast (this doesn’t have to mean abstaining from food) and be a part of the Christian community…not for the sake of “going to church,” but for the sake of growing in your relationship with God. Find a community that is actively seeking to live its faith out in the community and join in the work of bringing hope, healing and wholeness to those around you. It may seem like work at first, as any discipline does (e.g., exercise, education, etc. ), but I promise that through it your eyes will open wide to the grace of God that surrounds you. How can we expect to grow as Christians, how can we expect to grow closer to God, if we spend our days avoiding the spiritual discipline it takes to experience such growth? Lord, give me the motivation to spiritually discipline myself to attend to your Holy Ordinances! Amen. One of my favorite horror movies is the Omen, which stars Gregory Peck who plays an American Ambassador to Great Britain. 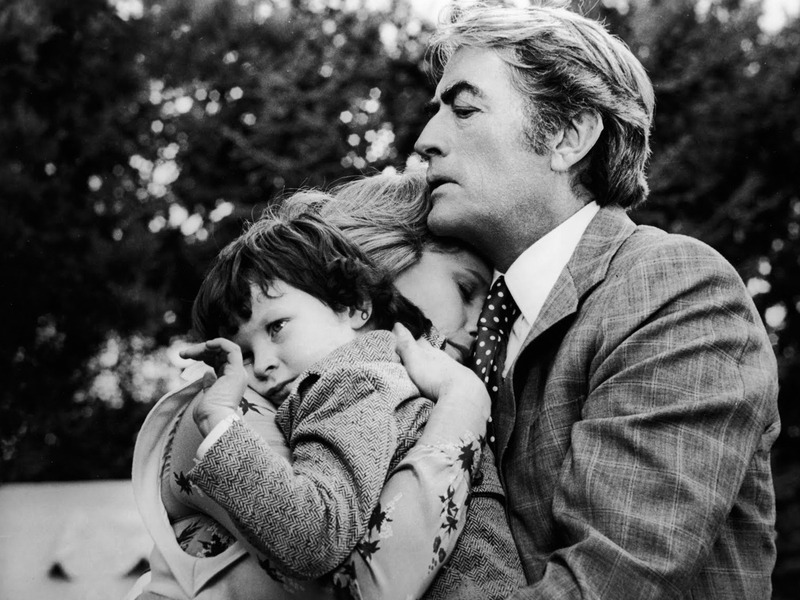 Peck and his wife, played by Lee Remick, have a child; however, Peck’s character learns that the child died during labor and is offered a chance, by a priest, the child of a mother who died in labor in place of the couple’s dead child. “No one need know,” the priest assures, “You need a child, and that child needs parents.” Peck is convinced and brings in the baby, never telling his wife what happened. Needless to say, that action was a HUGE mistake and, as the child grows, more and more weird and crazy things start happening. At the child’s 6th birthday party, the nanny hang’s herself after yelling, “It’s all for you, Damien! It’s all for you!” Eventually, after his wife has been seriously injured by their maniacal child, Peck’s character learns that the child he was given was actually the son of Satan; in other words, his child was the unholy incarnation of evil. While many of us flock to the movies to watch “evil” play out in various ways, and while many of us acknowledge the existence of evil when we see it splashed across the new channels, most of us live our lives as if evil doesn’t exist. We wake up and carry out our days activities as if we aren’t affected by evil in the slightest. Worse yet, many of us think of evil as something alien to us…after all, we could never do any evil, right? The truth is that we can do evil and are most definitely affected by the evil we do and the evil that is surrounding us. John Wesley said that a life of faith is one that seeks to do no harm, “by avoiding evil of every kind” (United Methodist Book of Discipline 2012, 52). As people of faith, we should be seeking to do no harm. How? By avoiding every kind of evil. If you see someone in need and don’t help them. That is evil. In this case, you avoid evil by helping those in need. If you judge others, even the Hitlers and Stalins of the world, that is evil; rather, pray for such people and work to change yourself in a way that brings hope, healing and wholeness into this world. If you see injustice of any kind taking place, it is evil to do nothing about it. Be a person who stands up for what is right and seeks to do justice on this earth. Evil takes many shapes and forms. It is not just murder and the grotesque things found in Hollywood horror movies; rather, it can be ever so sublte. Evil is anything that keeps you from living the way that God has called you to live. 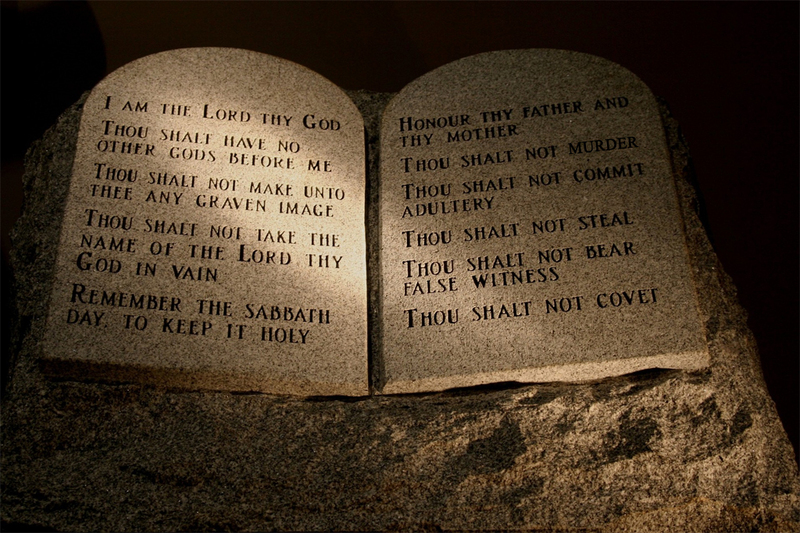 From murder to holding a grudge, we are called to do no harm by avoiding evil of every kind. And the only way to avoid evil, is to resist it, to counter act it, to take a stand with Christ and oppose evil with God’s love. May God strengthen you as you seek to live this out. Lord, I seek to not only avoid evil, but to resist evil. It is from you that I gain my strength and through you everything is possible. Amen. It’s the day after Thanksgiving, and if you are reading this there are a few possibilities. 1) You are reading it in a long line waiting to check out at your local department store and have nothing better to do at the moment. 2) You just got home from an all-night shopping and were just checking your email before hitting the sack for an all day recovery nap. 3) You just woke up from a nice sleep after eating tons of Turkey and stuffing yesterday; you are not the type to rush to the store for anything and so you are reading this with fresh and rested eyes. 4) You are reading this from outside of the United States and, perhaps, none of the top 3 really applies. Yes, today is the day Americans like to call “Black Friday,” meaning that it’s the days that sales go through the roof as people go shopping for Christmas toys and goodies for their families. Traditionally, black Friday was the day that stores went from being “in the red” to being “in the black”, meaning that they were no longer negative in the bank account after “Black Friday,” hence its name. Now, people head out on Black Friday with the best of intentions. They want to buy as much for their kiddies and family members as possible, for the least amount of money. After all, Christmas is about giving, isn’t it? The problem is that, en masse, people tend to get out of control. What starts off as a nice idea to buy people things that we can give them, turns into a stampede as people literally push through and over people in order to be the first to get their pick! 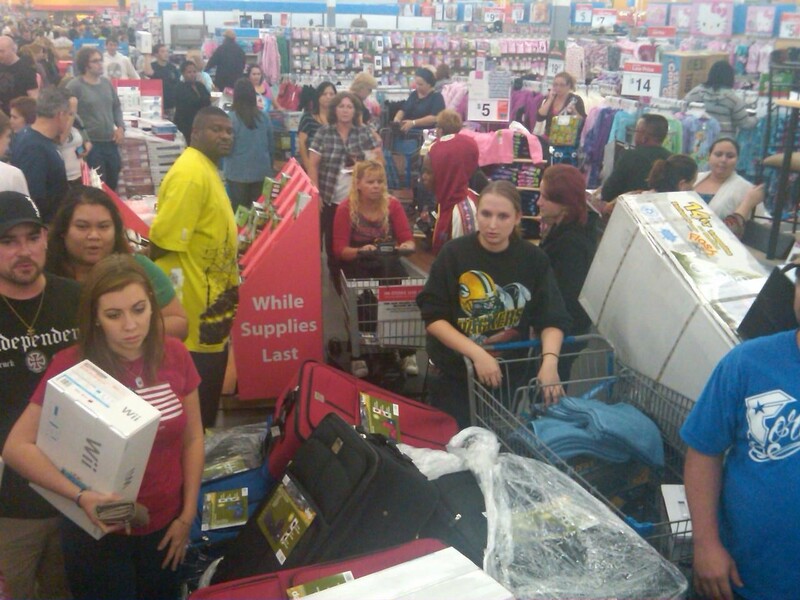 People have literally died on “Black Friday” as a result of the herd, and I do mean herd, of people trampling over them. On the flip side, there are billions of people around the world that are going without food, water, shelter, clothing, etc. There are community outreach organizations that will not be able to reach all of the people in need in their communities as a result of a lack of funding. So many people in this world, and in our own communities, are deprived of the major necessities and yet where do we spend our money and resources? In the end, we like to think that we are teaching our children and our families about giving; in reality, we are teaching our children and families about receiving. Christmas is very much centered around our families and close friends, making sure that the wealth is shared our own. Sure, we’ll drop a coin in a bucket on the way into Wal-mart, for good measure; however, what is important is that OUR kids get the presents they want, that OUR family gets the presents we feel they need or would like, and that OUR friends get gifts too. Jesus had a much more radical view of what it meant to give. For Jesus giving was to be unconditional, which means that we shouldn’t give just based on relation or friendship or any other kind of condition. And, for Jesus, there was no limit as to how much one should give. Jesus gave his entire life, literally, so that others could have the life he gave up. This devotional is written, not to discourage you from shopping for gifts for your little ones, family and friends but, rather, to encourage you to view the world as your children, family and friends. Wouldn’t it be a wonderful world indeed if the poor, the sick, the naked, the destitute, the blind, and all of those in need got to experience “Black Friday”? If you answered yes to that last question, the challenge for you is to do something about it. God bless you as you answer that challenge! It is true that to give is to truly receive; however, you receive so that you may give even more. Lord, let me be a blessing in the lives of those who need it. Thank you for those who have been a blessing in my life. Amen. The past eight days have been some of the most awakening days of my life. Last Monday, October 29, Hurricane Sandy slammed into Southern New Jersey, and wreaked havoc for much of the Northeastern part of the United States. Since then, many have been without power. My church, parsonage and my entire town, for the most part, is still without power as we speak. In fact, I am sitting in a public library typing this devotional and trying to get at least some work done. For those of my readers who do not live in the Northeastern region of the U.S., this time of year is typically not the warmest of times. Winter is fast approaching and, as of today, there is a possible nor’easter storm on the way. These storms can pack a wicked punch in terms of winds and precipitation (which usually is in the form of snow). Add that to no electricity and the people in my area, especially the ones who don’t have any generators and/or fireplaces, are facing a potentially dangerous situation. And my area of the state is mostly dealing with no electricity, unlike the Southern portion and the shoreline which has been utterly wiped out. Over the past eight days, I have had quite a bit of time to reflect on how much we come to depend on technologies such as electricity, phones, cell phones, smart phones, electronic devices, computers, cars, and other such things that we normally take for granted. It is amazing to me how much stock I, and billions of other people, put into artificial and human-made technologies. When said technologies fail, we are left feeling completely alone, isolated, confused, lost, and utterly hopeless. 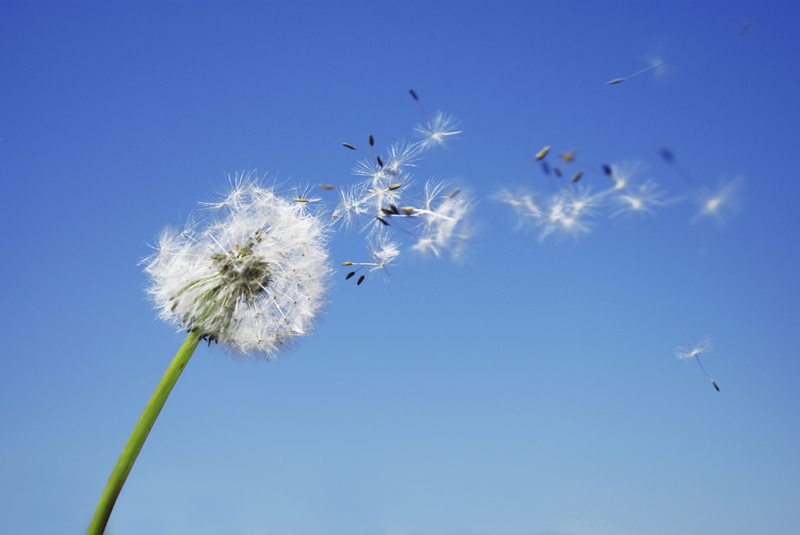 Like the author of Ecclesiastes, we are left feeling like we have spent our time chasing after the wind. Indeed, we are left feeling like everything is meaningless. Yet, thankfully,the story doesn’t end there. In this time of reflection, I have seen a power that far surpasses the artificial power provided by electricity. I have seen people reaching out to those in need. I have seen people invite neighbors, friends, family and even strangers into their homes in order to provide them with shelter. I have seen people from across the country and even from Canada, coming down to help with the relief efforts. I have seen people who have electricity sharing it with those who need to charge their phones. I have seen volunteer fire departments opening their buildings as places of shelter, providing food, entertainment, hot showers and places to sleep for people who are in need. Thankfully, the story doesn’t end with the grim assessment of Ecclesiastes. We are more than wind chasers. What I see, instead, is a grander story of hope, healing and wholeness unfolding in the midst of what initially seemed as a hopeless and devastating situation. In this, I see what Jesus meant when he taught us to not sweat the small stuff, but to seek first the Kingdom of God and trust that God will provide the rest . The proof is in the pudding. The small stuff has been literally washed away, yet God is providing through the love, compassion and generosity of millions of people. This IS what the Kingdom of God looks like. The richest people in the world are those who have stock in relationships. Lord, I thank you for being my provider. There is nothing I need that you haven’t supplied. Help me to fill the needs of others. Amen.